At Bay Implant & Perio, we believe the most important thing we can do as a practice is listen. We start with addressing your immediate concerns, then develop a plan to make sure you receive and maintain the smile you deserve and want. Bay Implant & Perio has the three keys to success and happiness that any successful business should follow: Affability, Availability, and Ability. We have a comfortable, clean, and modern Lynn Haven office staffed with friendly and competent doctors and staff members. Our team members become friends with our patients and their families, and learn all about their lives outside the office. We try each day to treat our patients with love and respect. 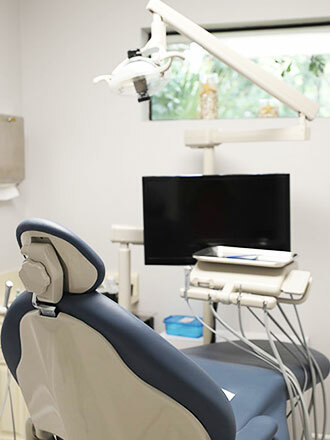 With our on-staff periodontist, Dr. John B. Miller, we can complete most dental procedures in-house without needing to refer patients to specialist practices. This allows our patients to receive comprehensive dental care under one roof from practitioners they know and trust.